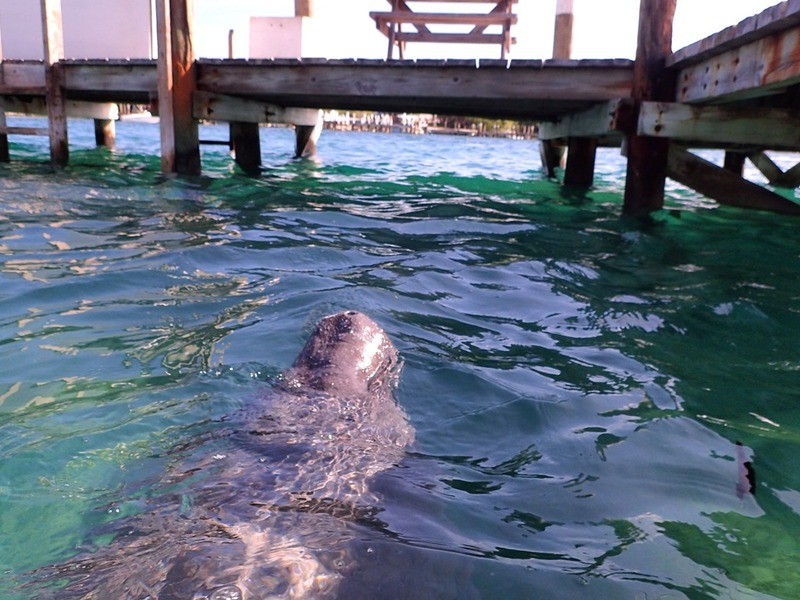 Hope Town’s resident manatee is hanging around the Lighthouse Marina dock, by the lighthouse. We took the dinghy over to visit the Lighthouse gift shop – a great place for holiday presents. 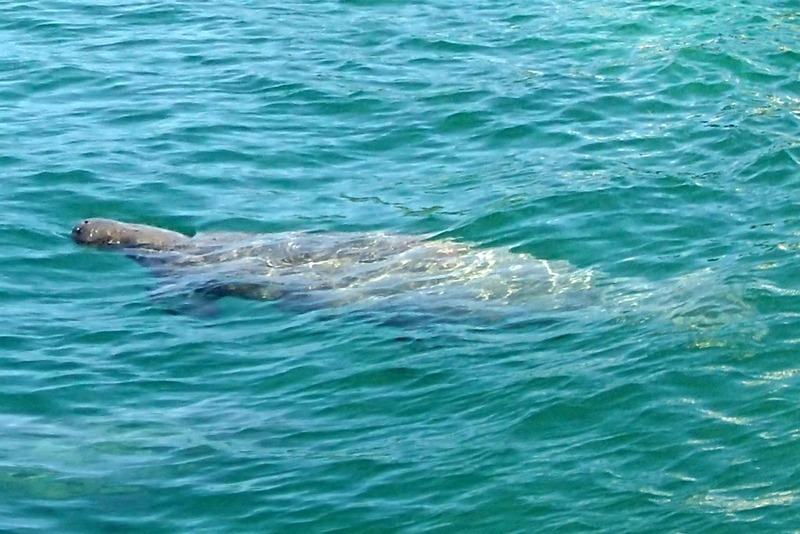 And there was a manatee. He or she was grazing on the bottom – they’re plant-eaters. 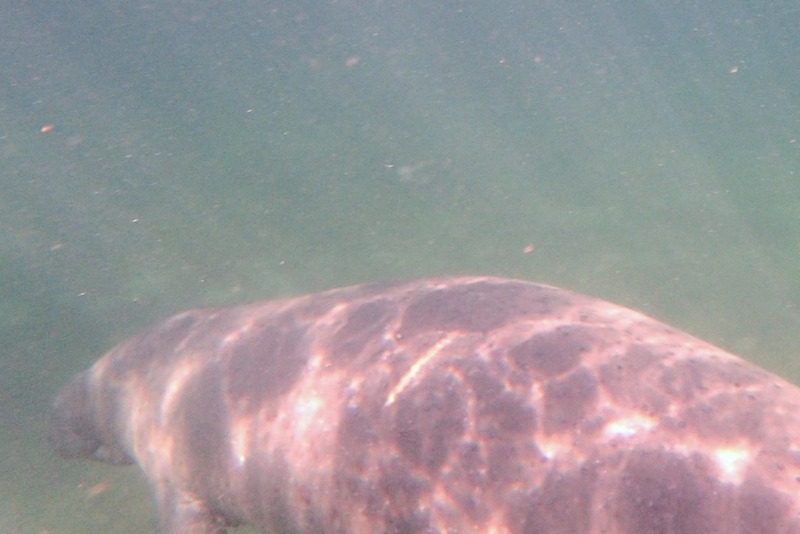 The only completely herbivorous marine mammal in the world, it eats only aquatic plants. 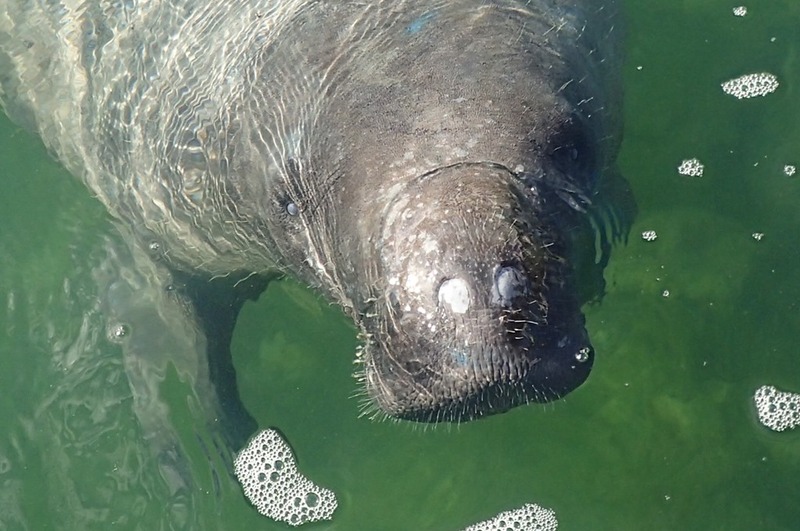 Manatees spend 6-7 hours per day feeding and the rest sleeping or resting. 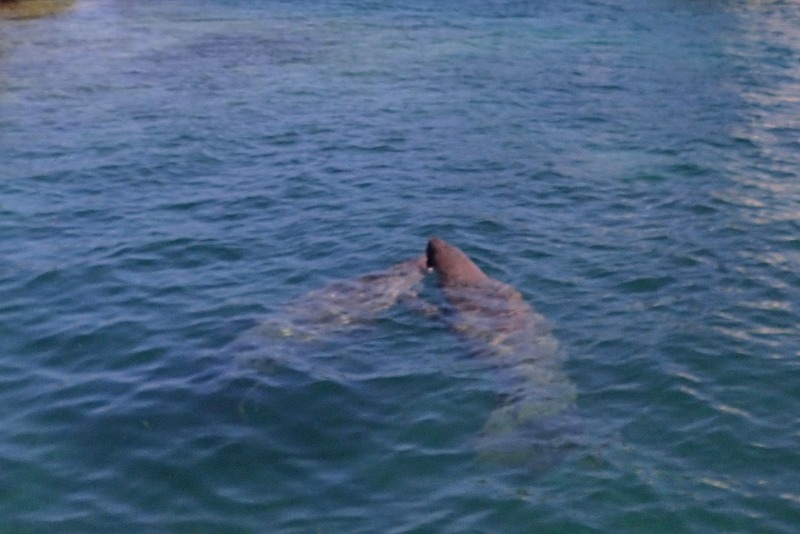 This one came up for air every about every minute or so, although they can stay submerged for 20 minutes. 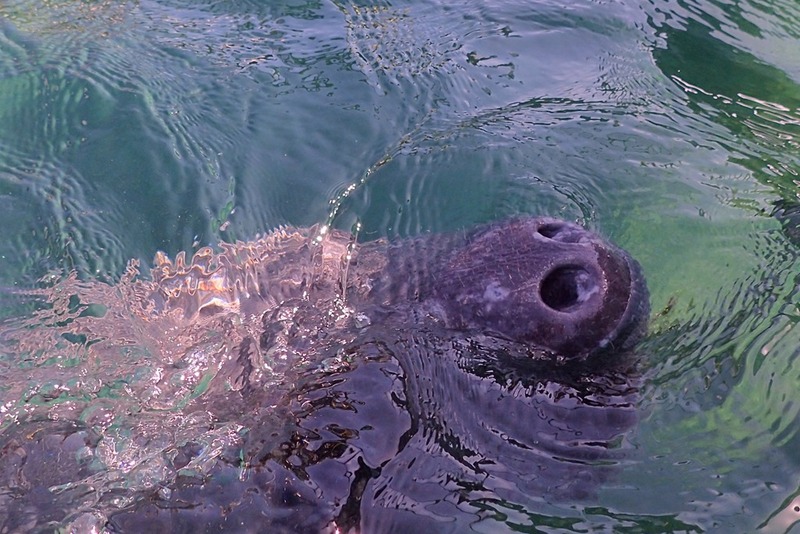 They open their nostrils to breathe, then close them when they submerge. 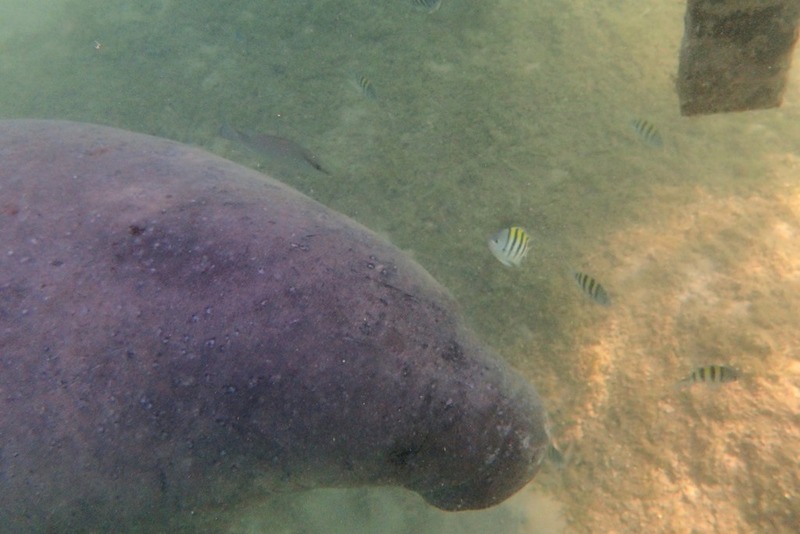 Algae grows on a manatee’s leathery skin, creating a feast for hungry fish. 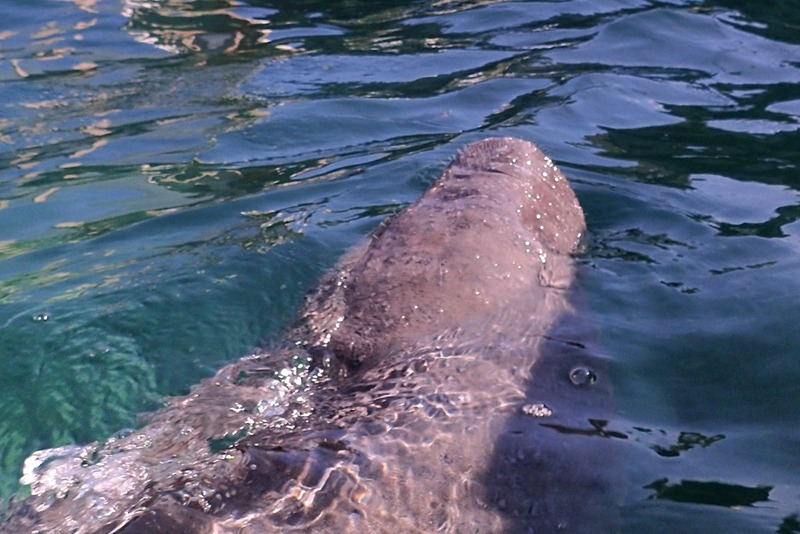 The manatee hung around the docks for a while . . .
and then drifted out towards the harbor entrance – they are slow movers. We watched its leisurely progress in the distance. 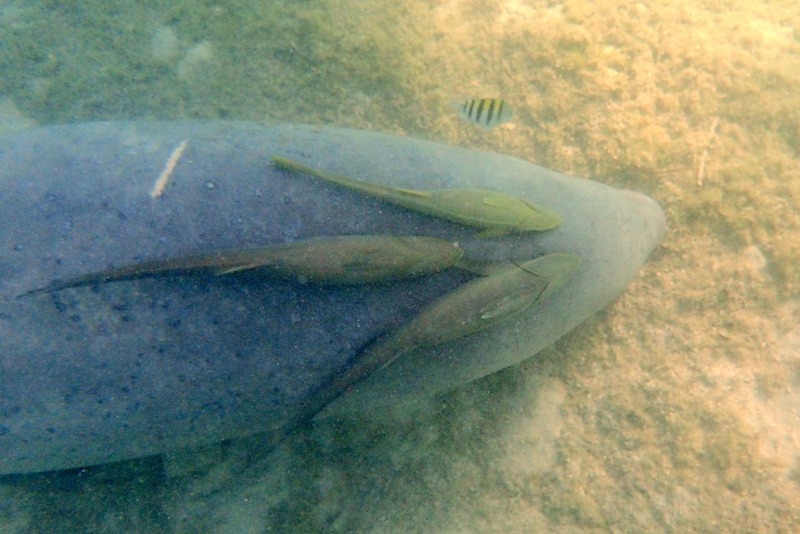 Then, to our surprise, the manatee found its mate, they touched tenderly. Wow. Who knew? Not lonely after all. What a photo op….lucky you! Great pics n story. Love watching them in FL.